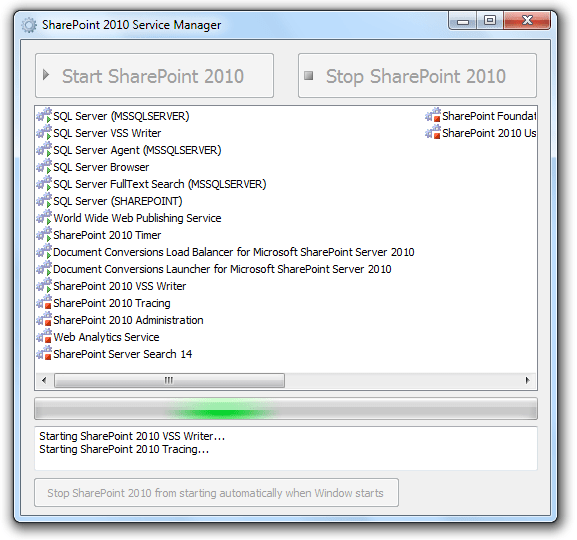 Some time ago I found interesting CodePlex project SharePoint 2010 Service Manager. Looks pretty nice and it seems easier than to run scripts every time. Sometimes there are some bugs when application can not start service.